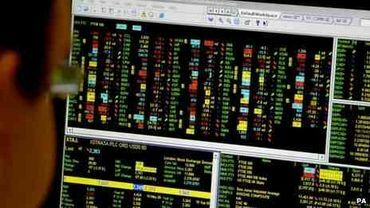 New York's attorney general has called for curbs on services provided to high-frequency traders. In particular Eric Schneiderman highlighted services that allow traders to get faster access to information. Noted. Thanks, Ray. He "called for curbs on services..." Well, that sounds like the usual blather. Significant regulations should've been put into place many years ago. Perhaps the crash of 2008 wouldn't have been so severe. And, again, the opportunity was lost when Congress passed the Financial Reform bill which Obama then signed into law. 60 Minutes did an in-depth report on this at least a couple years ago, which I watched. Matt Taibbi has given his readers a great explanation with warnings regarding the high frequency trading in dark pools. The May, 2010, so-called "fat finger" error should've compelled Congress to immediately pass stict regulations.....which they never did. I hope the "little investors" pay heed.